At the Startscreen can you select the Interface on that you will run the realtime traffic scan. After the Startscreen you have to select wich Packets you will scan on the Interface. You have also define a Folder where CENetScan save some temporary Files, this files are deleted when you exit CeNetScan. 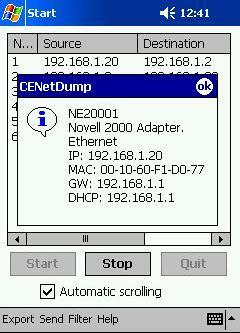 In the Mainscreen the running Network Packets are displayed with Number, Source and Destination IP or MAC Adress. 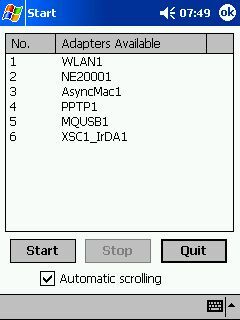 The Protocol displayed in the 3. column, on TCP/UDP Packets the destination Port is also displayed. In the 4. column the TCP Flags are shown. Double clicking a row brings a detailed Packed description Window up, stopping the Scan Process is not needed. The Automatic scrolling feature can be switch on/off any time. To save/export one, some or all Packets, you must stop the scanning, mark the Packets you will save and select “Marked Packets” or “All Packets” (marking not needed) from the Export Menu. You can use the Send and Filter Functions any time you need, without stopping the realtime Scanning. 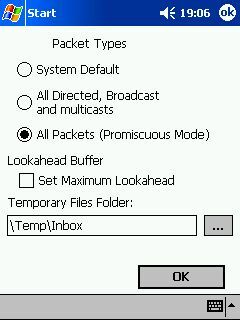 After doubleclicking a corresponding Packet row, CENetScan brings the detailed Packet Window up. In the first row the Packet arrive time and date are displayed, in the next rows source and destination MAC Adress, then the Protocol, after this the source and destination IP Adress (if have one), then the source and destination TCP/UDP Port. 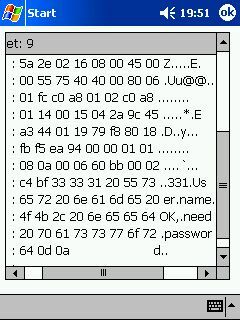 Then the raw binary Packet Data displayed. Export Packets in “Ethereal” Format by mark there corresponding rows in the Main Window, or export all Packets displayed in the Main Window. Send a custom Broadcast to any UDP Port for x times. For this you need the Broadcast Application Data in a raw binary file, without the Ethernet and UDP Header. 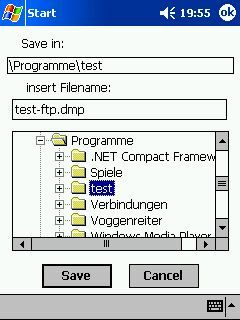 “dhcp-discover.pkt” file copied with the installation in your Windows Folder. At any time you can define a Packet Filter to scan only for the Packets you need. and on the Protocol Type. 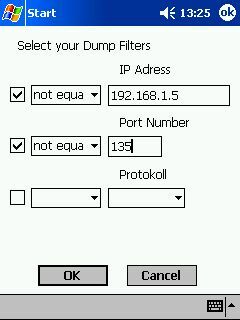 With CENetdump it is possible to scan the traffic on most Interfaces, it is not limited to real Network Interfaces like Ethernet or NDIS compatible Interfaces. The Help - NIC Info Menu shows the current used NIC parameters.